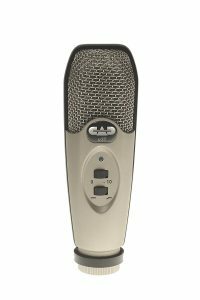 CAD U37 is a cheap microphone. But it certainly does the job and is very convenient because of the USB connectivity. In fact, this is one of the best mics by price/quality ratio. Specifically, it will certainly be sufficient for video calls, amateur videos, and gaming. 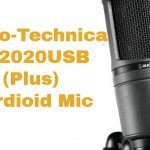 Shortly put, this is the cheapest USB mic that is worth spending cash. 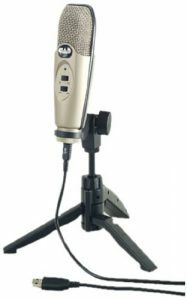 CAD U37 is basically a large condenser microphone with a side address, popular with broadcast applications. The product description keeps promising studio sound quality, but I am simply going to say U37 will record things on your computer via the USB. That recording works through a cardioid pick-up pattern minimizing background noise and isolating the main sound source. U37 has 10dB overload-protection switch to minimize distortion from sharp and loud sounds. That would be the top switch on the mic’s body. And the mic works better with this setting on. Bass-reduction switch reduces room noise down to tolerable. With this option, HVAC noises are usually cleared away. That’s the bottom switch. 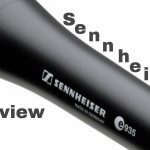 At this point, you probably understand that U37 is better than any built-in mic. The mic comes with tripod stand and 10′ feet (3 m) USB cable. And you can insert that cable into either PC or Mac as it is compatible with both. Just plug and play. No driver software required. CAD U37 USB, as the name poses is a digital gadget. It does not actually transmit in real time. Does not let you use buffers. Data is transmitted to computer retroactively, batch by batch, they are marked with time stamps. Once all the batches arrive they are put together and synced. If a monitor (headphones) is installed into this circuit, it would interrupt the signal and cause delays. If you are willing to spend more cash, more expensive mics have special headphone outputs. After built-in mics and consumer headsets performance of this mic will sound outstanding. The reliable design will help to keep up that performance. The batch by batch retroactive transmission causes some latency, though. You won’t notice that unless you press “stop” and “play” every few seconds. The sound is smooth and clear. Sensitivity of -40dBV @ 1Pa is alright. Maybe the sound is not crisp clear, but you don’t actually need that because crisp clear recording requires sound insulated room, e.g. a proper studio. The other thing is that you can’t enhance the sound that comes out of this mic through other hardware, like a preamp. What you can do is use a pop filter to keep out plosives like the Ts and Ds. Pop filter is the only way to pimp this mic. CAD U37 USB is mostly made of plastic. 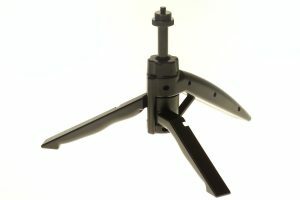 Plastic offers lightness and durability as long it stands on its legs. The platic switches on the front feel like they take some handling. The grill is metal, obviously. I suspect this metal piece can protect the capsule.